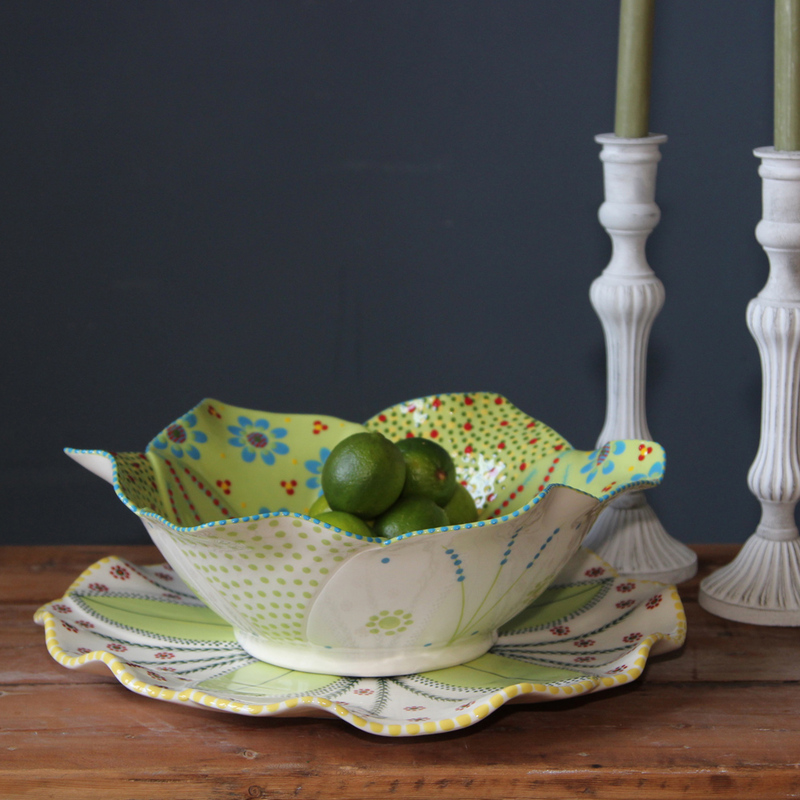 At ibbi we love our products: they’re not only beautiful but they all have stories to tell. And our new collections of Kiondo baskets from the weaving groups in Kasigau, Kenya are no exception. By buying these products which have been created by small scale crafts people, you’re helping to uplift communities, create employment and support sustainability. The arid rural area of Kasigau is home to many talented weaving groups. Most of the weavers are women, who tend to be the main breadwinners for their families. Their primary source of income is through subsistence farming but when the rains are late or don’t come at all, it is devastating for them. Creating alternative revenue streams through practices such as weaving is therefore of the utmost importance. We are so pleased to be supporting these extraordinary people through trade in a very small way. Every basket created is entirely unique in colour, size and pattern. No two are ever the same. 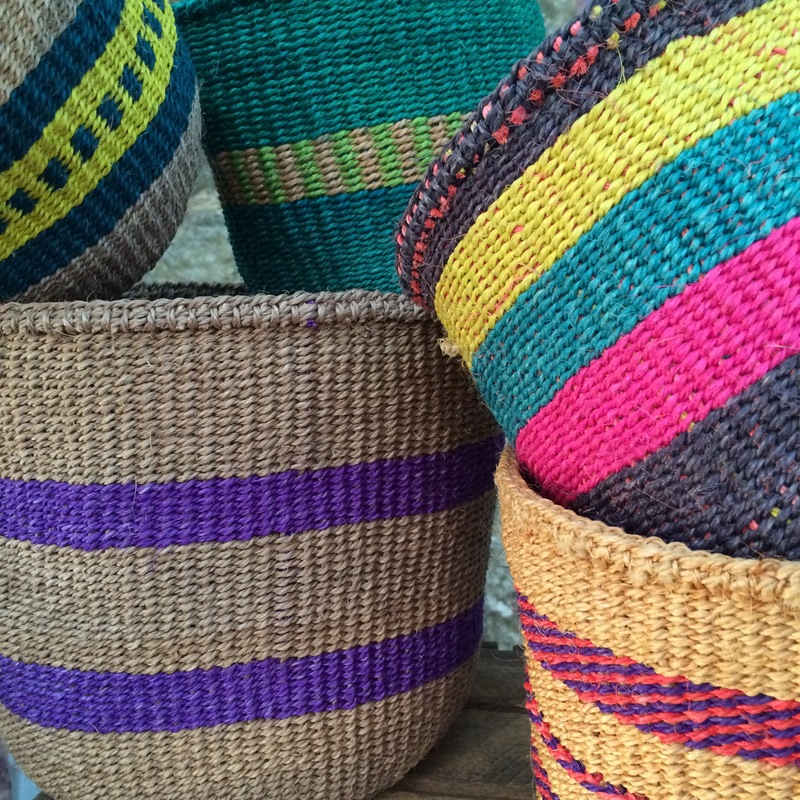 Kiondo baskets add a fabulous splash of colour to your home. They make great Christmas gifts and are ideal for kitchens and bathrooms: store your spatulas and spoons, decant your veggies and fill them to the brim with your bathroom bits! Available very soon at http://www.ibbidirect.co.uk or get in touch with us at info@ibbidirect.co.uk if you’d like to discuss . We love hearing from you! So: according to the press, as we mentioned in our blog back in October, we’re currently abandoning our neutral palettes and throwing a casual splash more colour and pattern in to our homes. Hurrah! 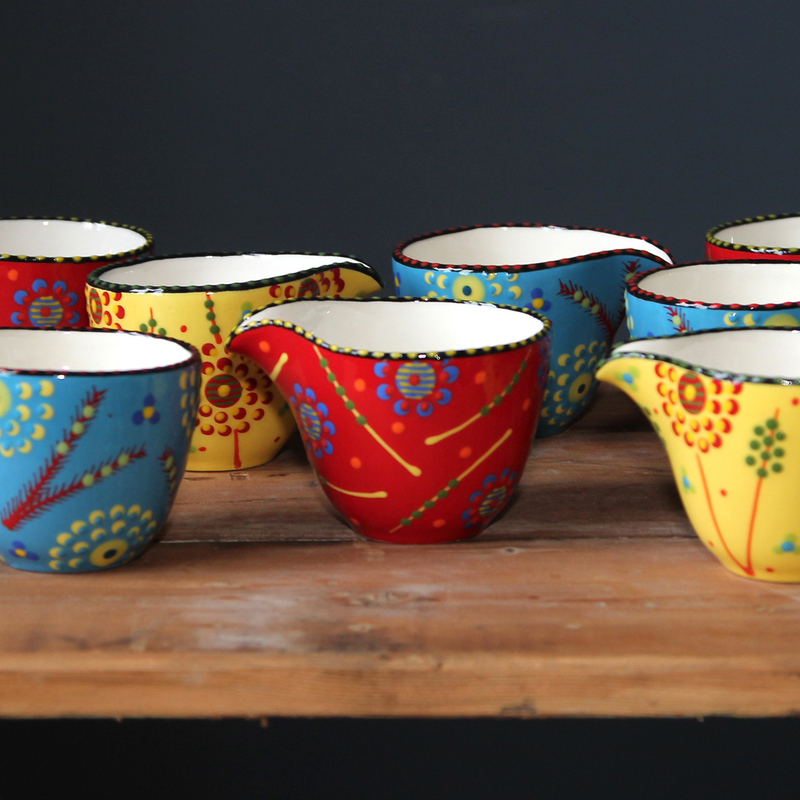 Vibrant cushions, richly coloured rugs and striking accessories are all selling like hot cakes and that probably goes to explain why our most utterly loved extra colourful hand painted ceramics are flying off the ibbi shelves right now. Hand crafted, gorgeous colours and each piece unique: do get in touch if you’d like to see more of our current collection. Product sourcing service available too.